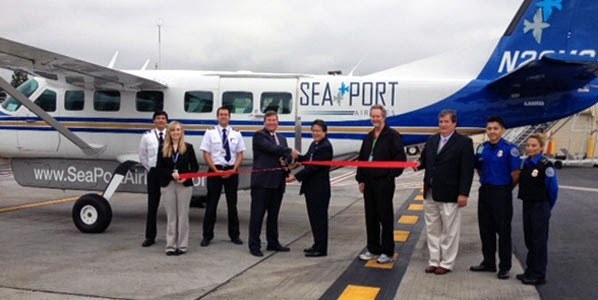 Portland Oregon based SeaPort Airlines has announced that it will begin a new California route between Burbank (BUR) and San Diego (SAN) starting October 1st 2014. The airline will be using C208B Grand Caravans for the 65 minute flights between the two cities and will begin the service with four roundtrip flights per weekday, one roundtrip on Saturday and two on Sunday. SeaPort, which is short for Seattle-Portland, also announced that it is awaiting approval from U.S. and Mexico governments to begin service between San Diego and San Felipe. If approved, that route will start November 1st 2014.